The participants of the upcoming naval battles closed beta will be called the "Knights of the Sea". Made up of torpedo, artillery and missile boats, coast guard vessels and submarine chasers, this so-called "small" naval contingent served in all oceanic theatres of the World War II era. "The high level of realism is one of the key design features of War Thunder. Vehicles are as close to their real life counterparts as possible. Classic large ship battles during the war were contests of patience and planning, where engagements could last from several hours to several days. 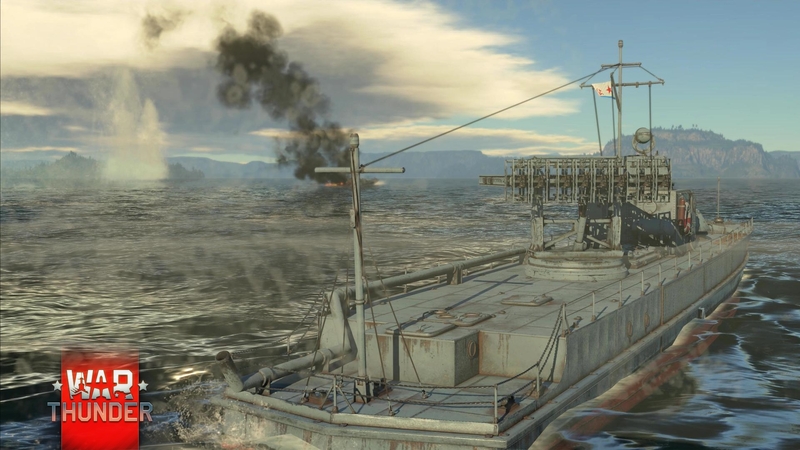 In War Thunder, where all kinds of vehicles fight in one battle and players can control aircraft, tanks and ships, it is not possible to change the size of the ships or make time run faster, as everything needs to remain consistent. Our internal testing showed that battles with large battleships would be too long and boring, or required design changes that made ships entirely unrealistic. For this reason, we are focusing on fast attack-based craft, which are rarely reproduced in games. Ships, that are more suitable for the formula of our game. These fast, agile and dangerous “Knights of the Sea” are worthy contenders for aircraft and tanks on the ground" - says Kirill Yudintsev, Creative Director of Gaijin Entertainment. 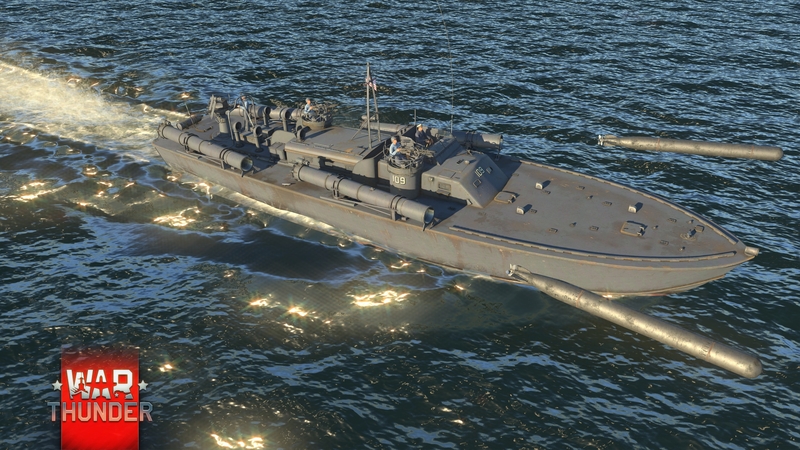 All nations will have Naval research trees and different ships from each nation will be revealed at this year's Gamescom, taking place from August 17th to August 21st. Testing will take place on the main game server during specific hours. Dev testing team, other invited players and those who purchase one of two packs with unique craft, will be able to join the closed beta testing as soon as the testing phase begins later this year. The first Naval Pack includes the Soviet Project 1124 Armored River Boat with the unguided rocket launcher, the legendary Katyusha. 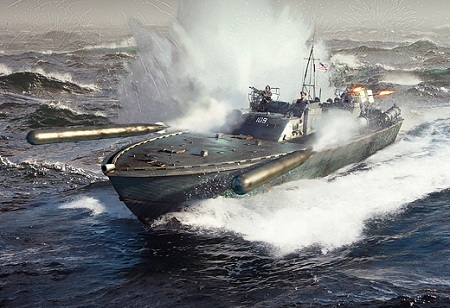 The second pack includes the famous American PT-109, a motor torpedo boat on which the future US President John F. Kennedy commanded and performed acts of wartime heroism. Both motorboats will be available at the start of the closed beta testing as will other nations vessels. 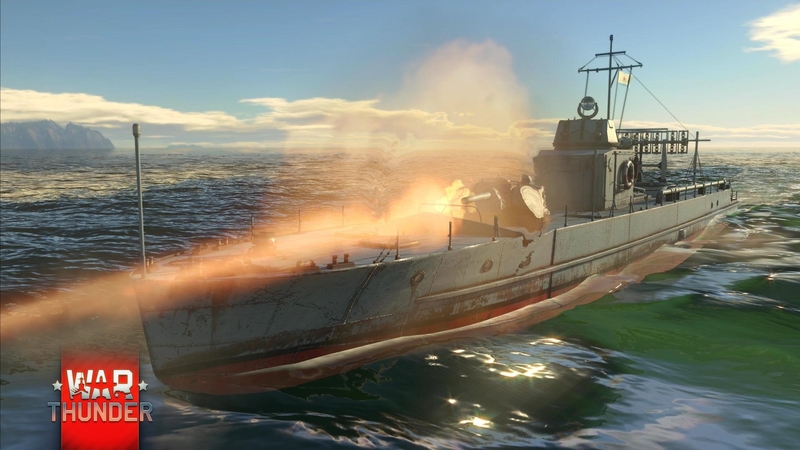 The first to take part in the naval battles of War Thunder will be the visitors of Gamescom 2016, which takes place this year from August 17th to August 21st. In the game booth in Hall 6, Gaijin Entertainment has organized a special closed area, where guests can try their hand as captains of attack boats. For those unable to visit the exhibition, there will be a special video broadcast on the official Twitch channel and new devblog updates each day, where developers of the game will talk about the latest addition, present ships of different nations and run giveaways of access for the closed beta test for the viewers. More details - from Monday. Follow the news! and be sure to keep an eye out for the answers next week! Due to dynamic nature of development the War Thunder, some information in this FAQ can be outdated. For more recent information related to Navy part of the game, please check the latest news and devblogs! Question: When is the closed test due to begin? Closed testing of naval battles will begin this year. Question: How can you get into the closed beta? 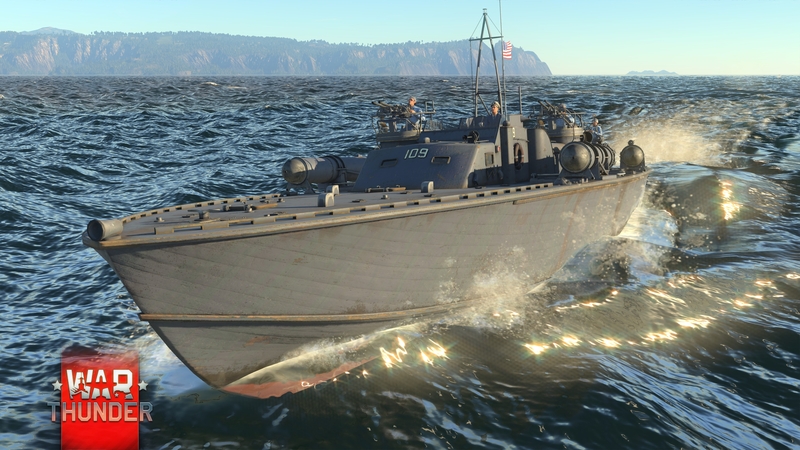 Closed Beta Testing will involve invited guests, as well as the owners of the two sets with unique boats, which are already available for pre-order in the Gaijin.Store. To learn how to get into the closed test team, we will update later. Question: When will the open test start? ​Open testing is planned for 2017. Question: Which nations will receive naval branch? Every major nation will receive all 5 ranks of ships. Question: Will larger ships (cruisers, battleships, aircraft carriers) be available for player control? If not - why do we need torpedos? ​Larger vessels, while not available for control by players, but will be presented under the control of AI in some game modes. One of the main tasks of combat torpedo boats will be the destruction of larger ships. Player-controlled destroyers and other large ships may appear later, in other gamemodes, it will be decided based on results of closed beta. Question: How will the vessels be researched? ​Just as with aircraft and ground vehicles. 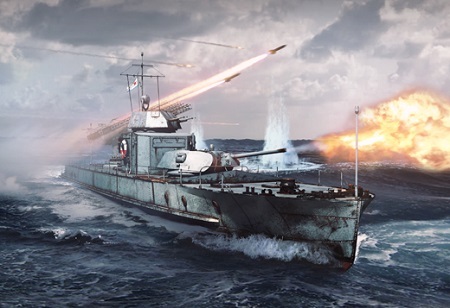 In battles you may earn research points which will open new ships in the selected branch of the nation, as well as modules on the vehicles which were used in combat. Question: The ships will be managed by the same crews, who now have the players? In other words, for existing crews will add a third specialization ship? ​Yes, but only after the onset of the research branches. Question: Will there be special locations for the vehicles? ​Of course, sea battles will involve some new locations. In War Thunder, major maritime theatres of WWII will be represented: Pacific, Atlantic and Arctic oceans, as well as the Mediterranean. All the new maps will feature the new 3d water effects created using NVIDIA Waveworks technology. Question: When will the CBT nation lineups be published? ​After Gamescom. But on Gamescom you will be able to check ships from each nation. More clarification to large ship naval battles. "Question: Will larger ships (cruisers, battleships, aircraft carriers) be available for player control? If not - why do we need torpedos? ​Larger vessels, while not available for control by players, but will be presented under the control of AI in some game modes. Well there goes my Hype for NF because no player control Battleships. Excellent. Appreciate the inherent speed issues and believe this is the best solution. Many thanks for bringing this aspect of the game to fruition!! Scarper, About time! I was beginning to think you guys had forgotten! Any news on Japanese Tanks? I want to cry of happiness but im afraid i will sound too addicted! Unfortunately thats completely not the case. Please actually read the post above to find out why. Ships have been in development and itnernal tests for some time. As I said above, there is always the possibility larger ships can and will come, however to start off with initally, we have small ships progressing to larger. Actually, the Soviet Navy played a very important part in the Black Sea. I can easily say that without the influence of the Soviet Navy, the Caucasus would have fallen. This would have severely crippled the Red Army to a point where they may not have been able to hold back the Germans. I am a little confused by the wording, is beta testing only US and USSR, with the other nations to come at a later date? Or are we getting all nations right away, and the starter packs are just for US and USSR? Senio, Cheers, I look forward to how you guys have implemented this!